I have recently found a very interesting and valuable service offered to cultural entrepreneurs from the Fibicc. The FIBICC is the “Fundación Iberoamericana de las Industrias Culturales y Creativas”, that is, the Iberoamerican Foundation of the Cultural and Creative Industries. The Fibicc “is a nonprofit institution that promotes training, cooperation and specific research in the fields of culture,art and creativity, in Europe, Latin America and Africa”. The story behind the Foundation: “We started our activity with a team of young professionals and creative cultural management in a context of economic, social and cultural shift, with the aim to respond to the growing importance of cultural and creative industries in the global economic scenario”. More info here. “In order to encourage the creation of new projects, creative and cultural entrepreneurship and give support to other medium and large initiatives career in the sector, Fibicc offers support, advice, resources and expertise to those able to innovate and provide valuable insights for both their initiatives and for society as a whole. We pay special attention to networking and joint strategies in the sector, one of the most important aspects for cultural entrepreneurship. Unfortunately the link to this first phase (Fibicc Emprendimiento) has an error and leads nowhere, but interested parties can always email them at info@fibicc.org. I have recently attended 1st seminar of The ALBA ‘unusual’ Series entitled “Cultural Hubs: Lessons on Resilience” that has been organized by the ALBA Graduate Business School. The seminar took place in Athens on February 5th 2014 and it was all about where cultural organizations have sought too for solutions in trying to stay on track during the economic crisis. I had the chance to meet Haris Siampanis who spoke at the seminar. 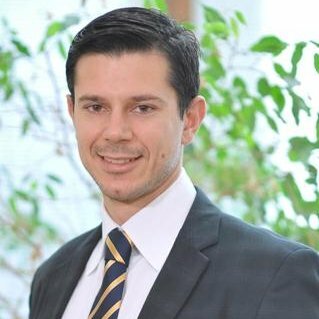 Haris is the Chief Financial and Operating Officer (CFOO) of the Benaki Museum located in Athens, Greece. 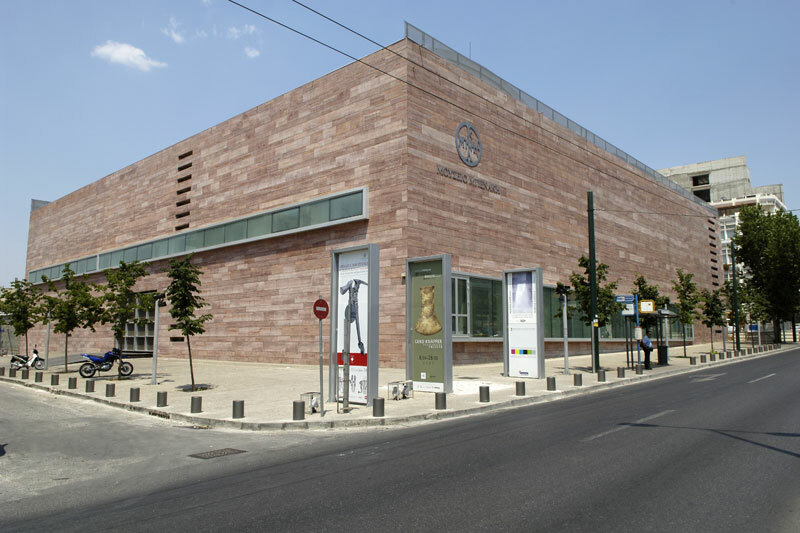 The Benaki Museum is the oldest museum in Greece operating as a Foundation under Private Law. Haris accepted to do an interview and talk about his experience in the financial restructuring of the museum and his views on how entrepreneurial values and practices can positively affect a cultural organization. Haris introduced himself during the seminar as a former professional of a global consulting firm who stepped into the Benaki Museum almost 2 years ago when the Board decided to restructure management and their financial model. I asked him what was his first impression from working with arts & culture professionals and what common language did he use with the existing staff. “It was different from what I had encountered up to then and I saw many positive things in these professionals. They think out of the box which is something we don’t do in the finance sector. They are special.” I further asked him how he communicated changes to staff regarding business goals agreed with the museum’s Board in his effort for sustainable running of the museum. His answer was kind of surprising to me because, although I have been working my entire career with arts and culture professionals, the case he made had never really occurred to me up to then. Haris said those professionals have a certain difficulty in prioritizing. They find it difficult to run a process from the beginning till the end. They have a different way of thinking and are impressed with certain ideas rather than others. He believes they need guidance on how to proceed with certain aspects of their work. Haris further explained what had been the most challenging part of his work. It was all about setting the basis for the collaboration. “One way to do this is to say the truth like you would explain this to someone that knows nothing about management. You present the problem, the solutions and the repercussions.” He admitted the Museum staff was honest with him and some understood the reasons that led the museum in a need for restructuring. Nonetheless, he said that it all happened after the first reactions. It took some time before all staff realized what had happened. A positive aspect of this change was that some people became more active and engaged in their work. I understood that the culture had changed and it took a while before certain people could understand that the fact the Museum is supported by some prominent people in the Board, could not assure financial stability for ever. Eventually, some people failed to understand the change and engage in it. Our conversation went on to the most important business practices that Haris had to infuse to the museum operations to get towards his set goals. He expressed his belief that a manager has to become part of the organization culture before bringing any change. He said “we have to challenge and check everything”. He gave me an example of one of his practices. He tried to explain to the staff that “every euro has to bring a new euro to the organization.” Having said this, he applied a new rule saying that if any exhibition has not guaranteed funding a month before launching, it is cancelled. Another example was the issue of responsibility and decision making. He had to set a monthly meeting with heads of departments to start working on the culture change and effectively collaborate. Up to then, responsibility was shared among staff and therefore lost. He appointed a person for each section in order to divert work and get feedback. “It’s just a matter of combining common sense with cultural work” he said. Most importantly, the staff had to start thinking towards suggesting to management alternative solutions for each of their project costs in order to secure funding and implementation. At this point, I asked Haris if there are any similarities between managing finances for a non-for-profit cultural company and a for-profit non-cultural company. We had a very interesting conversation on whether the end justifies the means of any action. Haris said that the biggest difference is Ethics. Other than this, there are a lot of similarities and most importantly “there has been a change in mentality regarding doing business without making any profits”. As the conversation moved on, I asked him whether he thinks that more non-cultural finance/business people could find a rewarding career in the cultural field by bringing their business knowledge and expertise. “The reward here is moral and it is greater than in the financial sector. If one can find this reward, a new way has opened for finance people to specialize in cultural management. This domain is underdeveloped in Greece.” So I asked, what would he say to his colleagues to attract them? “It’s the people they are going to meet in person, important people they would have found difficult to meet otherwise from the Boards of cultural organizations. Academics, businessmen, presidents of big corporations, a mix of distinguished and unique personalities etc. In addition to this, it’s the contacts abroad with similar organizations.” Bottom line, I understood it’s about the quality of the work rather than anything else. Finally, I thought of discussing certain issues that have to do with entrepreneurship values and their fitting or not in a non-for-profit museum. Haris expressed his belief that most entrepreneurial values fit in this kind of business. He said that risk taking fits the least of all since all deals are closed with the smallest possible risk. Other than this, leadership&sound management are fundamental and bringing change and disrupting the system is necessary for implementing your program. “The whole magic is doing things in a new way”.